Disasters will happen – Find out if you are ready? Companies of all sizes are deploying applications on virtualized IT infrastructures and in clouds. 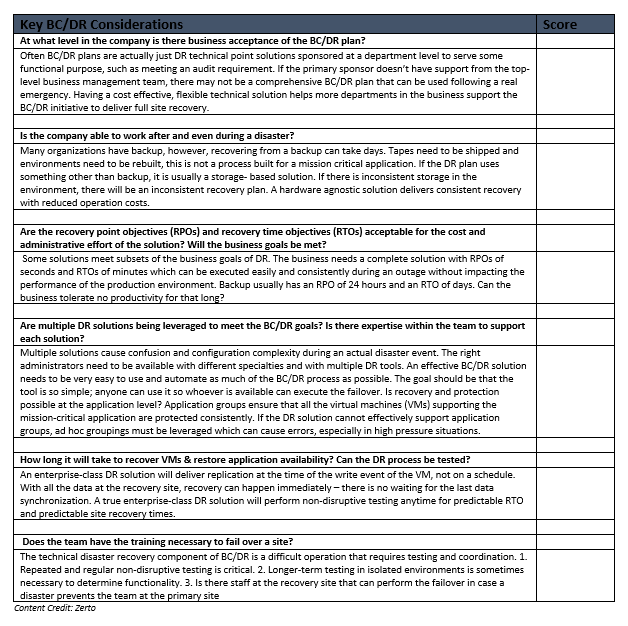 However, protecting these applications is challenging as traditional replication and disaster recovery (DR) solutions were not designed for virtualized data centers. Review this checklist with the technical and business management teams to ensure your organization can recover from the next disaster. If your score is under 22, contact APEXIS today at 816-268-4300 to learn how to be prepared for the next disaster.